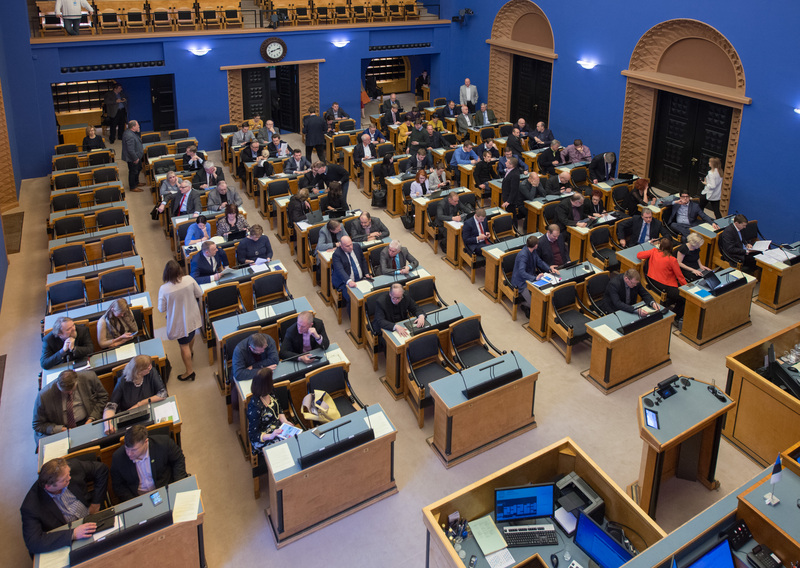 Today, the Riigikogu passed with 85 votes in favour the Resolution that enables Estonia to increase the number of active servicemen in the North Atlantic Treaty Organization (NATO)-led training and advisory mission RSM (Resolute Support Mission) in Afghanistan. The Resolution of the Riigikogu “Amendments to the Resolution of the Riigikogu “Extension of the Time Limit for the Use of the Defence Forces in the Fulfilment of the International Commitments of the Estonian State in the Training and Advisory Mission in Afghanistan”” (564 OE), submitted by the Government, provides that the maximum limit for the Defence Forces for participation in the Afghanistan operation is up to 46 active servicemen. In addition, the Resolution provides that, in the rotation period, the number of active servicemen can be increased to 92 within one month as of the arrival of the active servicemen who participate in the rotation in the operation area. The number of Estonian active servicemen participating in this operation is connected with the rotation that takes place twice a year. Therefore, both leaving and arriving active servicemen can temporarily stay in the same operation area simultaneously in the rotation period. The explanatory memorandum notes that, in 2017, the Ministry of Defence and the Defence Forces had analysed Estonia’s military possibilities and limitations for additional contributions, taking into account also the potential impacts on Estonia’s independent defence capability and the integral development of the Defence Forces, as well as the existing national and international commitments of the Defence Forces in foreign missions. As a result of the analysis, the Defence Forces are ready to contribute in Afghanistan with an infantry platoon and its support element. NATO has repeatedly asked all its member states to fill in the critical key gaps in the structure of the mission to guarantee the success of the mission. Most recently, the need for additional contributions was on the agenda at the meeting of the NATO defence ministers in November 2017. In 2017, several countries promised to contribute additionally, for example, the US has promised 4000 military servicemen. In addition, the Secretary of State for Defence of the United Kingdom has sent an official letter in which he has invited the Estonian infantry platoon to participate in the Afghanistan mission in the composition of the UK unit. As is known, the United Kingdom is the framework nation for the NATO pre-positioned battlegroup deployed to Estonia. Estonia’s aim is to be a solidary and reliable ally who, among other things, actively contributes to international military operations, in order to stabilise international security and thereby Estonia’s security. Estonia’s security and defence policy interest is a united and strong NATO and a stable global security environment, and therefore it is also in Estonia’s interests to additionally contribute to Afghanistan. The Bill on Amendments to the Aviation Act and the State Fees Act (532 SE), initiated by the Government, will bring the relevant Chapter of the Aviation Act into conformity with the EU Regulation that regulates both commercial and non-commercial air operations. Up to now, only commercial air transport has been regulated at the EU level. In the amendment of the Aviation Act, account has also been taken of the need to bring the Aviation Act into conformity with the relevant EU Regulation that regulates the issues relating to the qualifications and licences of aviation personnel. The Bill on the Accession to the Convention on the European Forest Institute (567 SE), initiated by the Government. The Convention on the European Forest Institute was done at Joensuu, Finland, on 28 August 2003, and it entered into force internationally on 4 September 2005. There are 28 Contracting Parties to the convention as at December 2017. The Contracting Parties are members of the European Forest Institute. The European Forest Institute also unites a network of associate members, and regional offices. The Estonian University of Life Sciences became an associate member in 2003. In addition, the European Forest Institute also includes affiliate members from non-European states. Affiliate members do not participate in the decisionmaking process. The purpose of the European Forest Institute is to promote the conservation and sustainable management of forests in Europe. For that, research is undertaken on the pan-European level on forest policy, on the ecology, multiple use, resources and health of forests and on the supply of and demand for timber and other forest products and services. Accession to the convention supports the knowledge-based shaping of forestry policy. The Bill on the Ratification of the Amendments to the Protocol to the 1979 Convention on Long-Range Transboundary Air Pollution on Heavy Metals (568 SE), initiated by the Government. Reducing transboundary air pollution is an important international goal, and the 1979 Convention on Long-Range Transboundary Air Pollution and its protocols help achieve it. 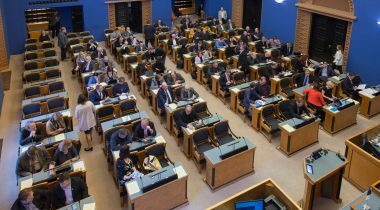 The amendments to the protocol have an important role in enhancing international environmental protection, and the acceptance of the amendments to the protocol will increase Estonia’s credibility in the international arena. Elements with metallic properties which have a density of more than 5000 kg/m³ are called heavy metals. Heavy metals are associated with environmental pollution and toxicity. Heavy metals lead (Pb), cadmium (Cd) and mercury (Hg) spread through the atmosphere far across state boundaries. The objective of the protocol is to control emissions of heavy metals caused by anthropogenic activities that are subject to long-range transboundary atmospheric transport and are likely to have significant adverse effects on human health or the environment. Verbatim record of the sitting (in Estonian) http://stenogrammid.riigikogu.ee/en/201802071400.